An aerial view of Brooktrout Lake. Photo credit: Dave Winkler, DFWI RPI 2015. Once teeming with enough fish to earn its name, Brooktrout Lake – when surveyed in the 1980s – was found to be fishless. The lake, described in 1894 as a place where “crystal depths swarm with speckled-trout,” was one of hundreds of lakes and ponds in the Adirondack Mountain region of upstate New York that were discovered to be devoid of fish due to acid rain resulting from the emissions from coal-burning facilities. The bodies of water in this region are among the most impacted by acid deposition in the United States. But reductions in sulfur dioxide emissions over the past three decades, fostered by such efforts as the Clean Air Act and its amendments in 1990, reduced the occurrences of acid rain, allowing the pH of the Adirondack lakes to stabilize over time. Documenting these changes and their effects on species diversity – from bacteria through fish – of Brooktrout Lake over the course of two decades was the Adirondack Effects Assessment Program (AEAP). Formed by Rensselaer Polytechnic Institute in Troy, New York, and funded by the U.S. Environmental Protection Agency, the group included researchers Frank Acker and Donald Charles, PhD, from the Academy of Natural Sciences of Drexel University, in collaboration with experts from eight other institutions. Their research, which was published this year in the journal Environmental Science and Technology, marks the most comprehensive long-term study of how acidification affects lake ecosystems to date. “Our role in the project was to evaluate the phytoplankton – free-floating algae – which are sensitive to acidity changes,” said Charles, a senior scientist at the Academy and a professor in the Department of Biodiversity, Earth & Environmental Science (BEES) in Drexel’s College of Arts and Sciences. Charles’s interest in the effects of acidification can be traced back through his doctoral thesis on effects of acid rain on Adirondack lakes, and his previous job as an aquatic ecologist with the NY State Adirondack Park Agency. 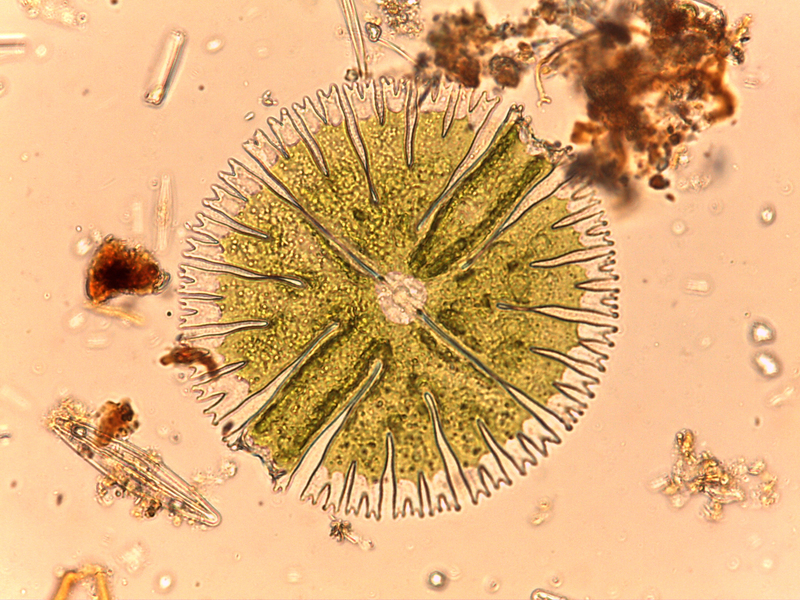 Micrasterias were among the algae found in Brooktrout Lake signifying the beginning of the recovery of the food web. Photo credit: Frank Acker. Studying the lake was not without challenges. The lakes are so remote that they required a substantial hike in order to get the samples – field research was even aided by helicopters at times. The samples were then sent to Charles and Acker in their lab at the Academy. The researchers documented the water quality and aquatic plant and animal life recovery during the 1990s and 2000s. They discovered that, as lakes recover, more species of phytoplankton and zooplankton were found, thus beginning to rebuild the food chain. In the paper, the researchers describe the complex process by which they reconstructed historical conditions, re-introduced tagged fish to the lake and then meticulously monitored changes in the lake’s species and water chemistry over time. Finally, in 2010, the researchers discovered that the brook trout could not only survive but also reproduce. The lake was stocked with brook trout that are native to Horn Lake, which is located about eight miles from Brooktrout Lake and in the same watershed. Photo credit: Richard Horwitz. 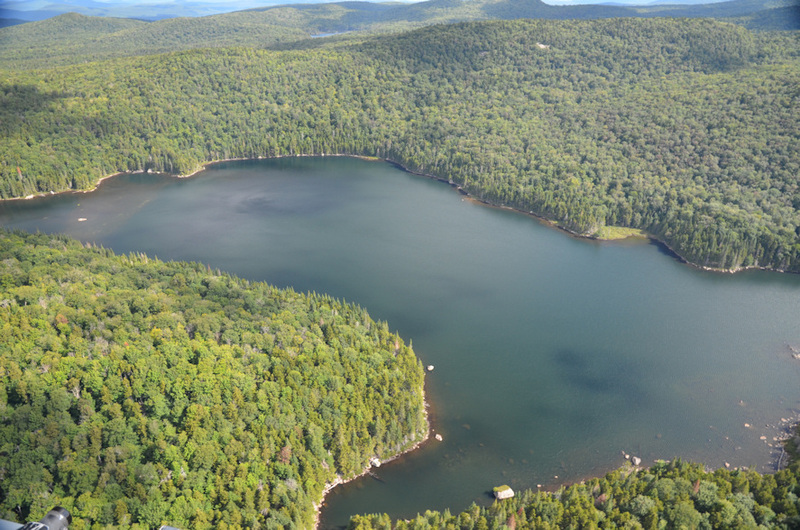 This achievement in Brooktrout Lake was the first demonstration of food chain recovery through re-introduction and re-establishment of fish in a region that had been heavily affected by acid deposition. Their findings show a still-partial, but nonetheless encouraging, trend toward re-establishing an aquatic community containing some of the original species. The results also suggest that other acid-affected waters could benefit from careful fish re-introduction protocols to begin reconstructing important components of the ecosystems’ food web. Most significantly, the study underscores the success of national and international environmental regulations that limit pollutants, enabling nature to begin its healing process. News media interested in speaking with the researchers should contact Alex McKechnie at ahm62@drexel.edu or 215-895-2705.